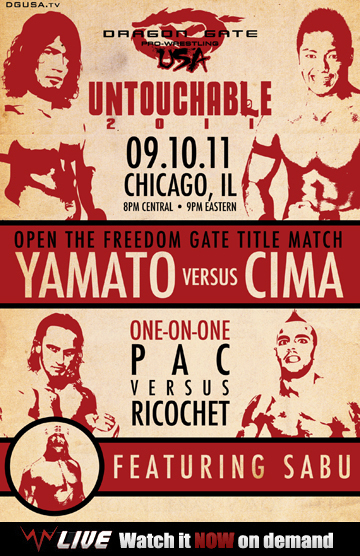 DGUSA returns to Chicago for a classic title match as YAMATO defends the DGUSA Title vs. career long rival CIMA. 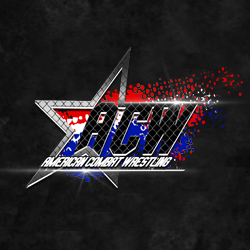 Plus, great action including Johnny Gargano vs. Akira Tozawa in the show stealer, PAC vs. Ricochet in a cutting-edge bout and much more including Sabu’s DGUSA debut as he teams with AR Fox vs. Arik Cannon & Pinkie Sanchez in a crazy fight. 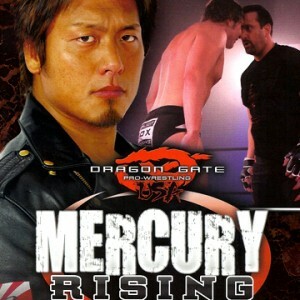 This is one of DGUSA’s best shows of the year!! !